I recently saw the Japanese film Shoplifters and recommend it. I mention it here because it has an example of how we develop a code of ethics. The boy in the movie is taught that until an item is purchased it doesn’t belong to anyone, so it’s okay to take it. With this moral guidance in place, he feels fine about shoplifting for the family. But then he sees his foster father checking out cars with the clear intent to do a smash and grab. The boy says, “Hey, wait, don’t these cars belong to people?” This new facet of the family business doesn’t fit into the code of ethics he’d been taught. His world tilts on its axis as he begins to see things differently. We each live by some code of ethics. The code our parents and culture teach us is likely more skillful than what the boy was taught. Perhaps we learned the Ten Commandments, perhaps the Golden Rule, or perhaps more along the lines of ‘What will the neighbors think?’ or ‘Don’t be a loser.’ It’s worth noticing our ethical underpinnings and how they play out in our daily decisions. The other day I saw a driver pause at a red light, then make a left turn against the light when the traffic was clear. Did he figure that since no police were present to ticket him, he could disregard the law? These laws are, for the most part, an agreement we make as a community, so that, without having the benefit of being able to look each other in the eye or talk, we can fairly predict what another driver will do. When someone does something that to me seems so blatantly wrong, I have to wonder if he is drugged or drunk or mentally unstable. Is there some rare circumstance that makes him think that it’s okay just in this instance? Is he rushing to someone’s aid, for example? How is he justifying his behavior to himself? Is this just the way he operates in the world, measuring risk against reward and taking chances? Does he not see the risk? Does he not care? Does he think the rules don’t apply to him? I’ll never know, but it brings up an interesting exploration into ethical decision making. What rules do we follow, what ones do we ignore, and what if any justification do we give ourselves for doing so? If there are unjust laws, do we as citizens work to get them changed? Or do we just accept them or ignore them? This kind of inner investigation is useful for anyone to do. If you have been doing the regular practice of meditation, you probably have a better ability to slow down and observe the pattern of thoughts as they arise, and to see the source of the particular pattern that gives or denies permission to do something. Is there a code, either obvious or implied, at the core of the choices you make or the justifications you offer up to explain it to yourself? If there is a code of ethics there, are you living by it? And if not, are you punishing yourself, judging yourself, feeling ashamed, or offering excuses to override your code? Such questioning is valuable in uncovering delusion and seeing how you may be creating inner discordance and unnecessary suffering. Buddhism has a very clear ethical code. Among other teachings, there are the Precepts. These are vows taken at the beginning of a retreat. They are very simple and reasonable, and they help to assure the retreat runs smoothly. They are easy to remember and refer to throughout our lives: We agree to not harm any living being, to not take what isn’t freely given, to not lie or gossip, to not misuse our sexuality, and to not ingest anything that would affect clarity of mind. A very good set of ethical standards to live by all the time! The exact wording varies, but the Precepts are guiding principles of value. Some of these Precepts may be easier to follow than others. ‘Do no harm’ precept may seem the easiest, because we have good hearts and aren’t killers; but upon further investigation this precept reveals itself to be quite challenging since we are constantly making choices of what we eat, purchase and do, and all these choices may adversely affect the lives of others or the planet. Setting the intention and making wise effort to live by a precept is in and of itself valuable. Any investigation into what it might mean can most effectively be done with loving-kindness instead of shame, fear and guilt. No one is perfect. We do not need to erase our footprint on the sands of life. But joy is more available to experience if we live in a way that causes the least possible harm to ourselves and all beings. Following the Buddhist Precepts or any other code of ethics we consciously choose, informs the choices we make in every moment and how we are in relation to everything we do and everyone we meet. It is definitely worth discovering what code we are living by, whether it is working well for us, or if we are at odds with it and, if so how that affects our lives and the lives of those around us. If this feels like a timely investigation for you, I hope you will share any insights or questions that come up. 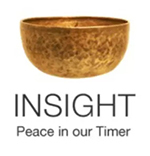 This entry was posted in Ethics, Five Precepts, meditation, Precepts and tagged Buddhist precepts on February 1, 2019 by Stephanie Noble.